During detention a group of out of place students come together when they discover the ability to create spells with a little help from Jules (Britt Flatmo). They immediately use their new found abilities to benifit their own selfish needs but soon enough the magic they conjure comes back to haunt them with severe consequences including a detective who is investigating their actions…with her own personal agenda. 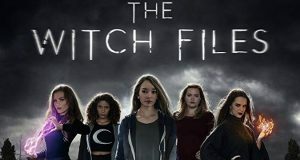 The Witch Files will be available on digital platforms and to buy on DVD From October 9th. Do check this one out as it’s a likable high school Witch Mystery that I did enjoy a lot.